Businesses thrive and grow with effective leads. However, lack of time and resources always restricts your focus on marketing efforts. As a competent merchant cash advance lead generation firm, we do that work so you can stay focused on your core business tasks. However, while you receive active and fresh leads from us, you need to be extremely careful and well prepared to handle those calls to be able to pitch effectively. What does that mean? As a merchant cash advance business, you can only thrive on the partnerships you forge with other business owners in need of quick capital. Many such business owners are looking for merchant cash advances, but all of them may not meet your selection criteria; you need to track down the right ones to partner with. Due to the economic downturn witnessed in the recent past, traditional banks seem to avoid lending to small businesses. While this may have led many businessmen into trouble, it has also opened up opportunities for alternative lenders such as merchant cash advance businesses to act as funding sources. Business loan lenders try to gather leads who need business capital and are seeking business loans. And to achieve that, they often invest heavily in marketing initiatives to accelerate their efforts. However, the task is easier said than done. Businessmen spend a lot of time searching and profiling prospective leads to ensure they are partnering with the right people. However, due to their involvement in the process, their focus often shifts away from core business activities. 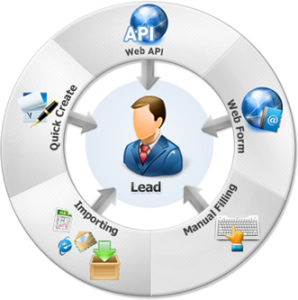 Lead generation service providers help you accomplish this goal without any involvement from your side. They churn out the right business loan leads and make selling easier for you. The funding industry is always brimming with business owners looking to procure quick business capital. Lead generation providers target such owners in need and generate merchant cash advance mailing lists that you can use to pitch your sales. Therefore, you don’t need to expend your hard earned money on marketing and branding strategies on something you can easily outsource to a more experienced and reliable team. Mailing lists are well-searched lists that channelize an instant rush of leads across your way. While there are various forms of data that lead generation providers offer, mailing lists rank high owing to the accuracy of data and strong research work as their base. These lists carry detailed information regarding the background, business strength, experience, as well as current needs of the prospective leads. The information not only helps fulfil your criteria of shortlisting the leads but also serves as a source of information to gauge their backgrounds. Mailing lists specify all the necessary details for you to connect with merchants that are genuinely interested in procuring funds for their business. Companies like Merchant Financing Leads persistently work toward maintaining fresh and updated data that is always filtered and authenticated before it is shared with clients. By making use of such data, you will not only be relieved of filtering data by making bogus calls but will also save precious time which will help you maintain focus on your core business activities. Are you in a search for an innovative and effective way to generate quality leads for your business? Utilizing a lead generation company’s services is the most efficient way to gain new prospects to scale your growth in the industry. They take all the hassles of hunting for customers off your plate, which ultimately gives you the needed time to focus on other aspects of growing your business while also ensuring that you never miss out on a prospective sale, because of conflicting time priorities. A lead generation company provides you with the needed potential to multiply your sales profits immediately within the first few months of collaborating with them. They utilize state of the art technology systems and proprietary software to generate leads that convert. Whether you are searching for leads within the mortgage sector, health insurance industry, or other places, a lead generation services firm will connect you to fresh leads on the basis of your requirements and ensure that you don’t miss out on another business opportunity. Lead generation firms that have been in the industry for years seem to have a huge data base but they should never use recycled databases to hand over out-of-date prospects to you. Quality leads providers understand your business needs and use only the newest and the most up-to-date data, which is regularly refreshed, so as to provide you the most exclusive potential prospects for your business. Efficient lead generation services firms are managed in a fashion to help you out around the clock. This is done to meet each and every need that arises so that you never miss a lead for your business again. With the help of instant phone leads, which are also called live transfer leads, you will get calls from interested parties directly to your phone. In case you face any issues with your lead generation, competent lead generation firms have experienced professionals there to take your call or chat online 24 hours a day, 7 days a week to ensure that your business continues to run smoothly. ACH leads are also in great demand nowadays because of small and medium scale businesses that have specific needs to be met. All of these are provided by such companies that have proven success in the merchant cash advance lead generation business. You can set your call times to ensure that you never miss another business opportunity again. 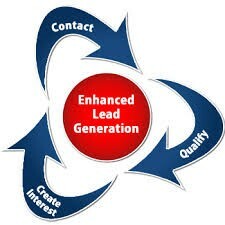 With an experienced lead generation service firm, you cannot go wrong. They take the burden off of your shoulders and diligently take care of your MCA leads requirement. You no longer have to take the stress and hassle of generating leads for your business and never have to waste your time by chasing down redundant prospects. 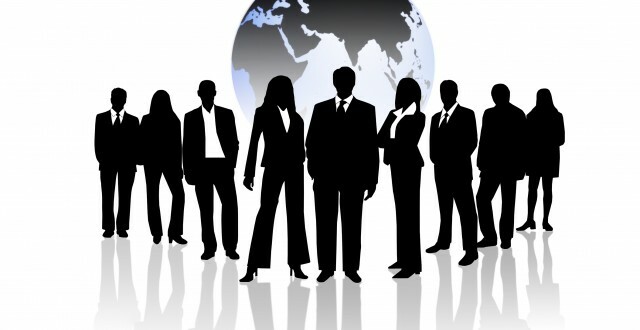 A competent firm dealing in all kinds of merchant cash advance leads is merchantfinancingleads.com that can help you grow your business and get the desired return on investment. Are you Struggling with Huge Marketing Investments or Leveraging MCA Lead Generation Service? Are you looking for new ways to generate merchant cash advance leads for your business but not getting the return on your marketing investments? Roping in a lead generation company is the fastest and most efficient way to gain new leads. They take all the hassle that comes from cold calling and hounding customers down, leaving you enough time to focus on other critical facets of your business while ensuring that you never miss a prospective sale either! A promising lead generation company offers you the potential to double your sales profits right within the first few months of working with them. They make use of their state-of-the-art technology systems to generate business loan leads directly to your phone. No matter which leads you require to give that needed impetus to your business, they will connect your business to fresh leads and make sure that you never miss another business opportunity. Competitive Lead generation companies never utilize recycled databases to provide you with out-of-date prospects. They use the newest and most up-to-date databases, such as UCC list/UCC records which are constantly expanding, to offer you the freshest and most exclusive prospects for your business. They take your business growth seriously and understand that your success will translate into their own success. Therefore, they go the extra mile to help you reach your business goals by using only the most relevant and freshest databases to generate leads. Quality lead generation providers remain there for you around the clock to provide the highest quality personalized service so as to ensure that you never miss a lead for your business again. With instant phone leads and merchant cash advance live transfers, you will get calls from potential leads directly to your phone as soon as they are received. You can also customize to set your call times to make sure you never miss another business opportunity again. If you ever face any issues with your lead generation, the company employs seasoned professionals who will take up any issue 24 hours a day, 7 days a week to help your business run smoothly. 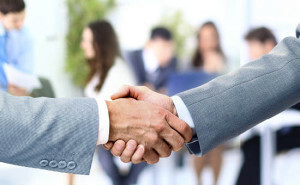 Once you are connected with a competent merchant cash advance lead generation firm, you cannot go wrong in your business approach. There is a host advantages to be reaped using the various services they offer. Take the stress and hassle out of generating leads for your business. You could sign up with www.merchantfinancingleads.com that provides all kinds of services you need to run a merchant cash advance company. Never waste your time by chasing down old prospects again. Maximize your time and your profits and work to eliminate stress by using a lead generation company today. 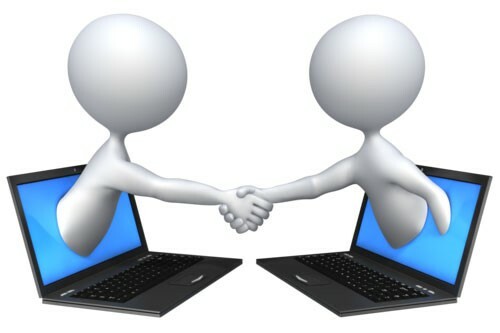 Posted on May 7, 2015 January 14, 2016 Categories Business Loan Leads, MCA Leads, Merchant Cash Advance Leads, UCC LeadsTags ACH Leads, ACH Live Transfers, ACH Mailing List, Business Loan Leads, Business Loan Marketing, merchant cash advance leads, Merchant Cash Advance Live Transfers, Merchant Cash Advance Mailing List, UCC ListLeave a comment on Are you Struggling with Huge Marketing Investments or Leveraging MCA Lead Generation Service? Many businesses often face capital shortfalls that leave them struggling to make ends meet. To continue to succeed and grow further, businesses need dependable sources of capital which will enable them to expect realistically and tread in a calculated manner. Merchant cash advances do help in this case; however, they are not easy to close. To address such problems, a competent lead generation company proves quite beneficial. It works closely with you to deliver the MCA leads that exactly match your business requirements and goals. 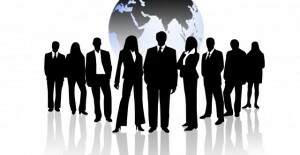 We have fine tuned criteria for selecting business loan leads. Only businesses that verify $350,000 or more to be their annual sales revenue and have an experience of one or more years in business are chosen. Nevertheless, we also provide custom selects upon request. Our proprietary software captures all the recently filed merchant cash advance and equipment financing UCCs from the secretary of state and county records. These lists are a great way to capture hot leads looking for an additional cash advance. We send a huge number of Direct Mail pieces to people ranging from small to mid-sized business owners each month. The responses so received are then tracked to measure the current market trends. We refresh our mail pieces and follow trends in the marketplace to showcase new products or innovations. Our creative team works uses the latest marketing trends to create mail pieces that are effective in generating great inbound responses. Having worked with 5 of the top ten funders in the merchant finance industry, our business flourishes because we value our business relationships with the clientele that we have earned over the years. They have already entrusted us and are enjoying growing client bases. Our unique pay per call system puts our money at risk with yours because we succeed when you do. 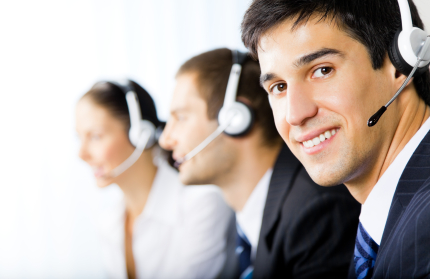 Round the clock, our call centers remain engaged in gathering information on businesses throughout the country so as to provide the best quality data for your telemarketing needs or direct mail campaigns. With our partners in strategic industries such as merchant cash advance, equipment leasing, data base marketing and other relevant industries, we are able to keep our lead generation techniques fresh and relevant. Committed to delivering the best so that you are able to exceed the ROI you expect, Merchant Financing Leads can deliver a consistent flow of fresh and unique merchant cash advance leads like no other lead generation firm can offer.